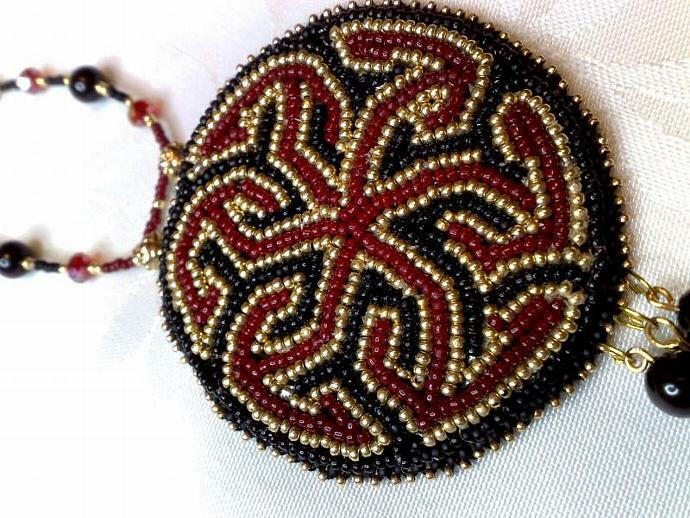 This necklace was created for the Etsy Beadweavers Team November 2011 challenge on the theme "Arabesque style" . The pendant was embroidered according to a pattern I found in a site describing the history of the Arabesque art in architecture all over the world with a lot of pictures and patterns. It was a great pleasure to learn about Arabesque architecture and to see the differences between the countries. I would like to thank Joanne Teague that choose such an interesting theme and gave me the chance to enjoy and enrich my knowledge about this theme.